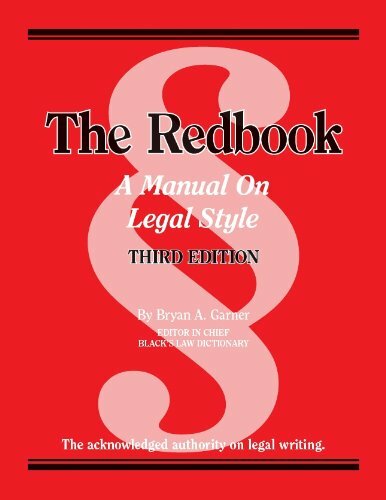 Since the first edition was published in 2002, The Redbook has established itself as the most authoritative, comprehensive, and easily usable manual of legal style. Written by Bryan A. Garner, with contributions from all six lawyers at LawProse Inc., The Redbook covers everything that mere citation manuals don’t and can’t: punctuation, capitalization, grammar, prose style, and clarity in general. The Redbook is an eminently usable reference book. Written in the style of a restatement, the black-letter rules are followed by exhaustive comments and illustrations. If you have any questions about this product by Brand: West Academic Publishing, contact us by completing and submitting the form below. If you are looking for a specif part number, please include it with your message.